Wow! What a cover. 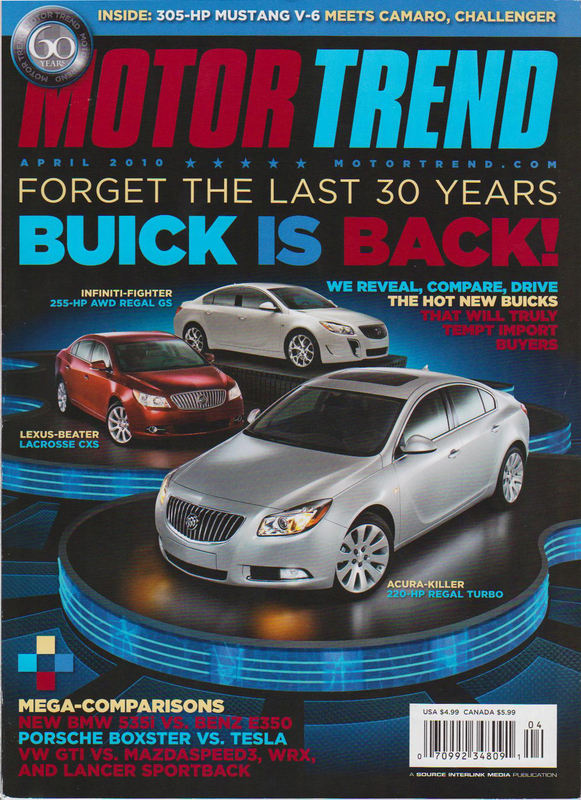 Glad to see that the new 2010 Buick Lacrosse and the upcoming release of the new Regal are gaining some positive traction! By the way - actually read the reviews too - they say the new Lacrosse outclasses the Lexus ES!